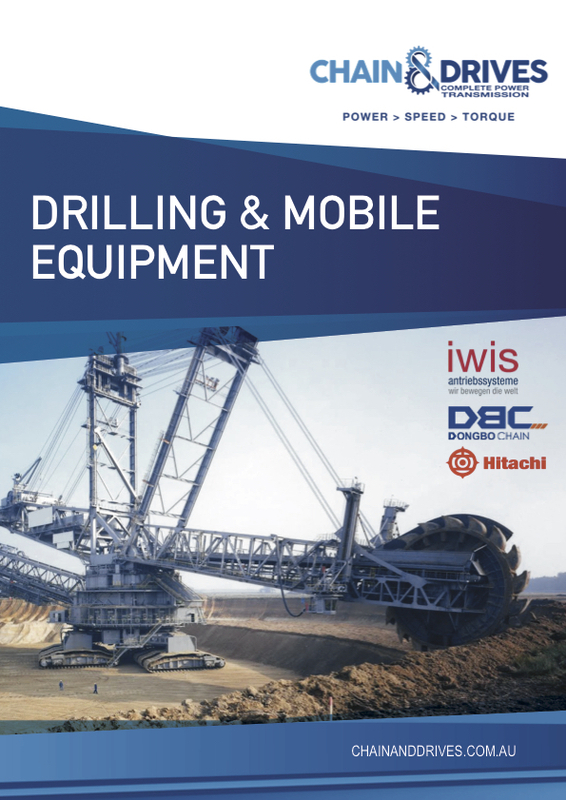 Chain & Drives is proud to announce our new range of Iwis Drilling Chain. This new and exciting product combines nearly 100 years of Iwis Precision Engineering with the high quality supply and service of Chain & Drives’ experienced team. Iwis, based in Germany are the leading manufacturers of chain products in the world. All Iwis products meet and exceed DIN/ ISO standards which relate to dimensional accuracy and tensile strength. Chain & Drives’ new Drill Rig Chain presents a new era in the Drilling Industry. Our manufacturing process allows us to create Heavy Duty (HT) Chains and STS Extreme Duty Chains. Chain and Drives also supply leaf chain and earthmoving chain from leading manufacturor’s such as Dong Bo, Hitachi and Sedis.